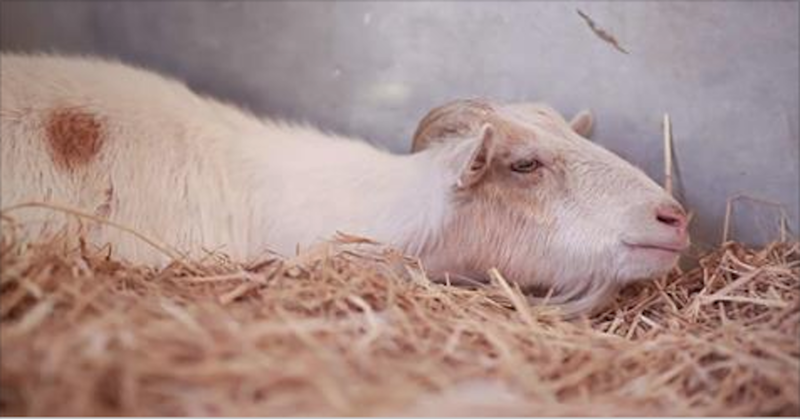 Heartbroken Goat Refuses To Eat For 6 Days, Then Rescuers Finally Discovered Why He's So Depressed | Do You Know? 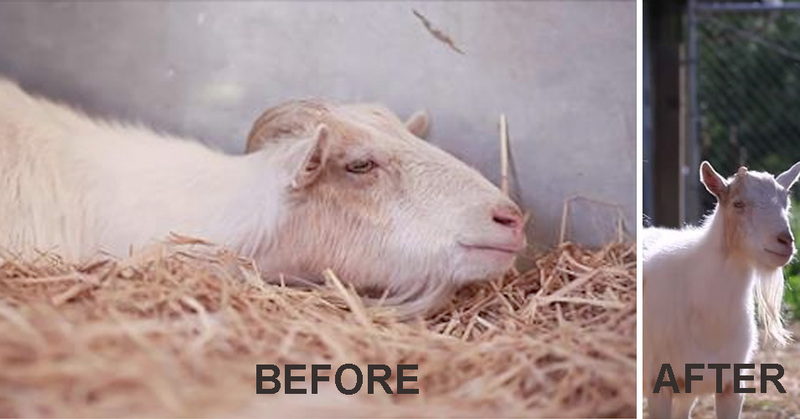 In 2014, Mr. G was rescued from an animal hoarder by Animal Place in Grass Valley, California. While at the sanctuary, Mr. G was depressed and lifeless. The The poor little goat refused to eat, could not be cheered up and simply laid down in the corner of his stall with his head drooped down. Special treats wouldn't even work with the sweet little goat. He wouldn't budge nor would he eat. He refused to eat for six days straight. It was as if he had given up on life altogether. The rescue workers were very concerned. They knew they needed to do something soon. 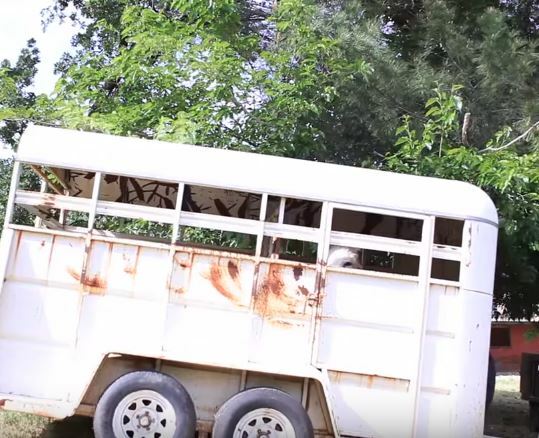 Soon, his rescuers realized why he was so heartbroken. 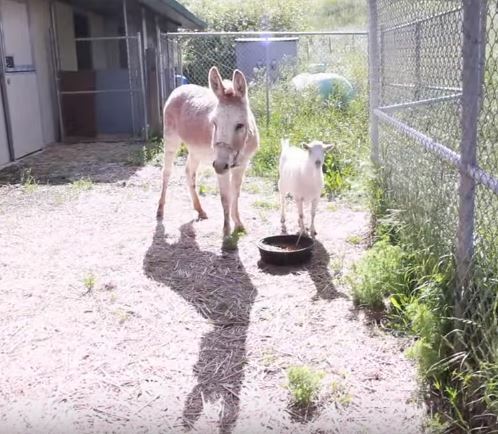 Mr. G’s donkey friend, Jellybean, was relocated to a different sanctuary at the time of their rescue. 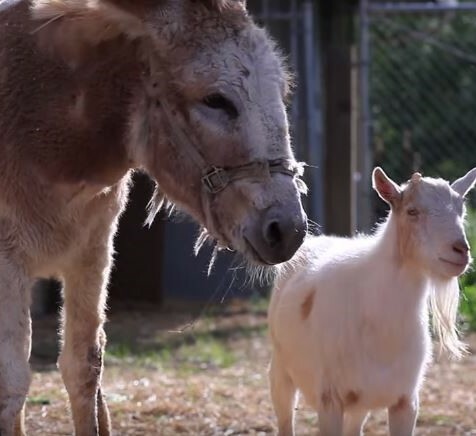 The two buds had lived together for years and were now separated for the first time. The two both had been rescued from abusive situations and had come to rely on each other for support. They spent 10 years together in a 12-foot by 12-foot dirt plot without shade or shelter and hardly any food or water. But now, they were miles apart. So the volunteers decided to track down Jellybean. They found the burro and after a 14-hour round-trip made by volunteer Jeff McCracken, they finally reunited them. 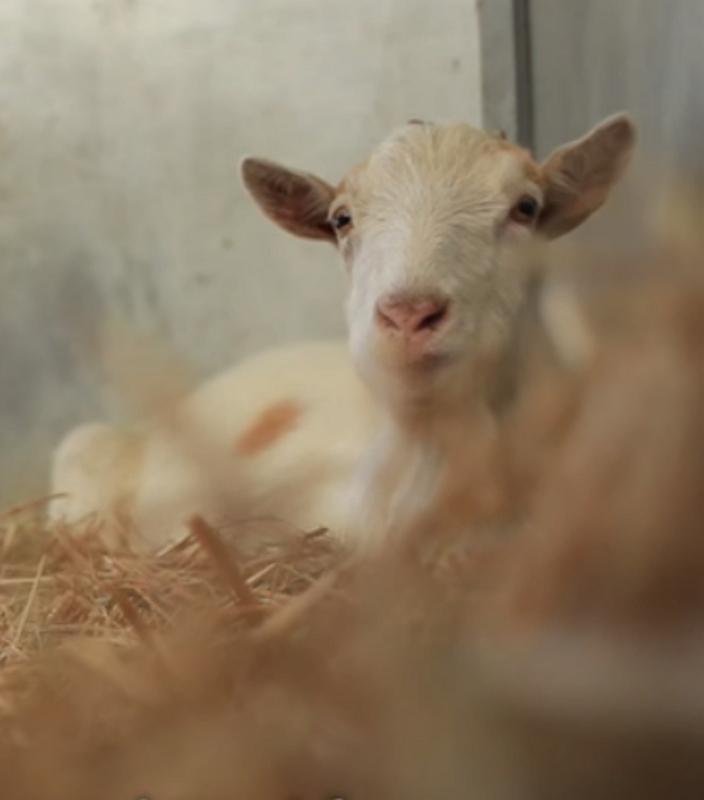 When Jellybean sauntered into Mr. G’s stall, the little goat couldn’t believe it! But it took a quick sniff for Mr. G to finally realize that it was truly his long lost friend. Mr. G hopped up, snorting and sniffing. They headed out to the pasture and began bonding again. What a beautiful story! Watch the pair in action as they reunite after being separated.